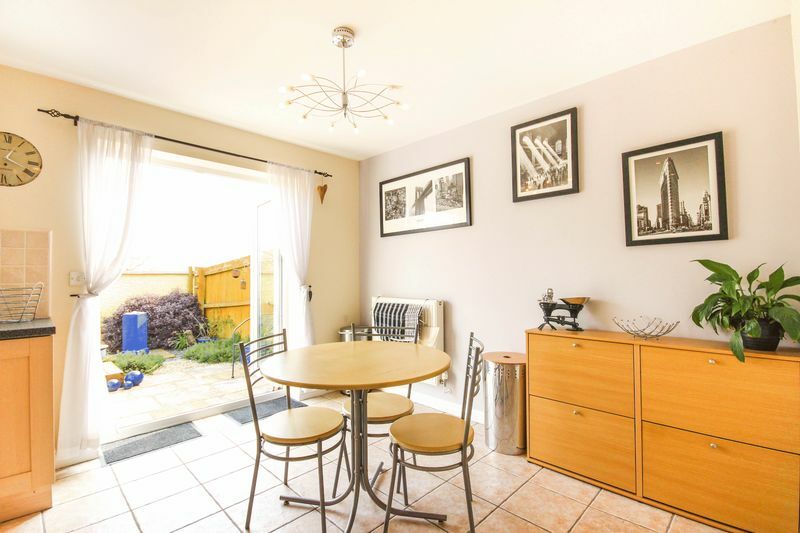 This spacious 4 bedroom end of terrace property with two receptions, a large kitchen/dining room, garage, garden and parking has a lot to offer and would make a great family home. 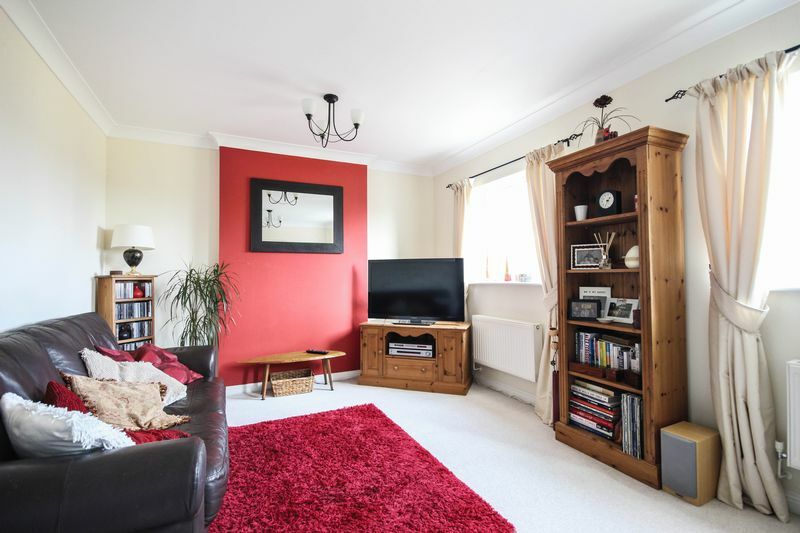 Built around 12 years ago by Cavanna Homes, this property enjoys a great position on the edge of the popular Knights Mead development backing on to an open field. 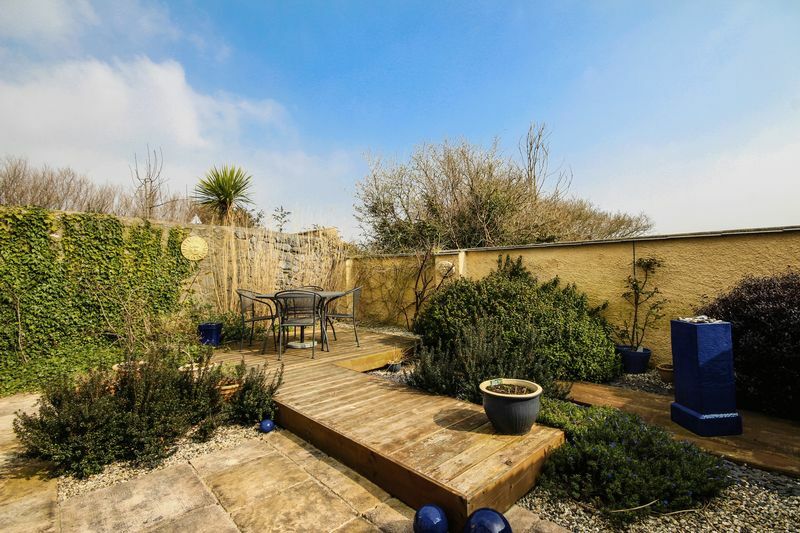 The garden has recently been landscaped providing a lovely spot to relax in the Summer! 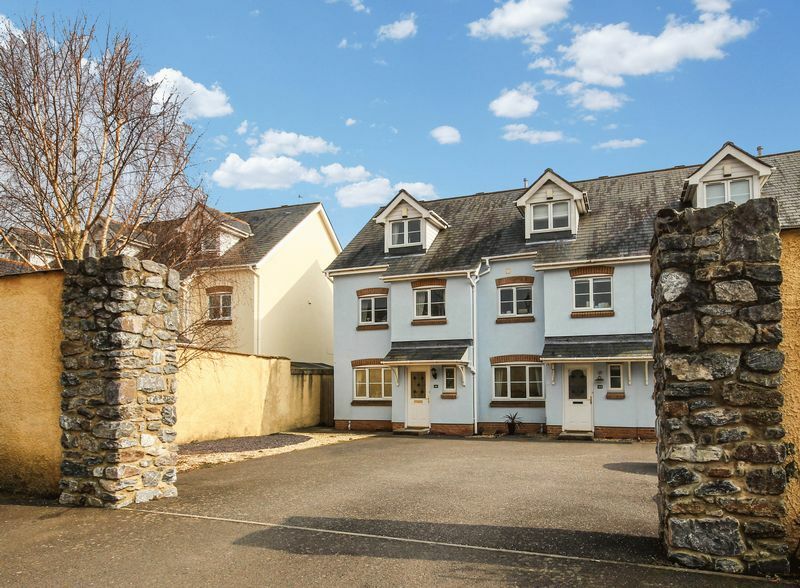 Situated in the village of Chudleigh Knighton which offers a number of facilities including a town hall, church, regarded primary school and the popular village Inn. 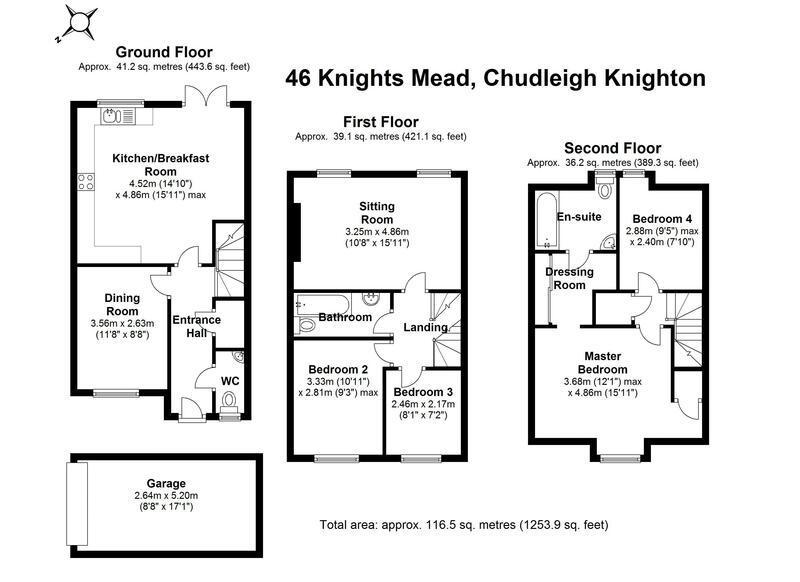 It also offers easy access to the towns of Chudleigh and Bovey Tracey with further amenities. For larger shops there are supermarkets in Kingsteignton, Newton Abbot and Exeter. Surrounded by unspoilt Devon countryside. 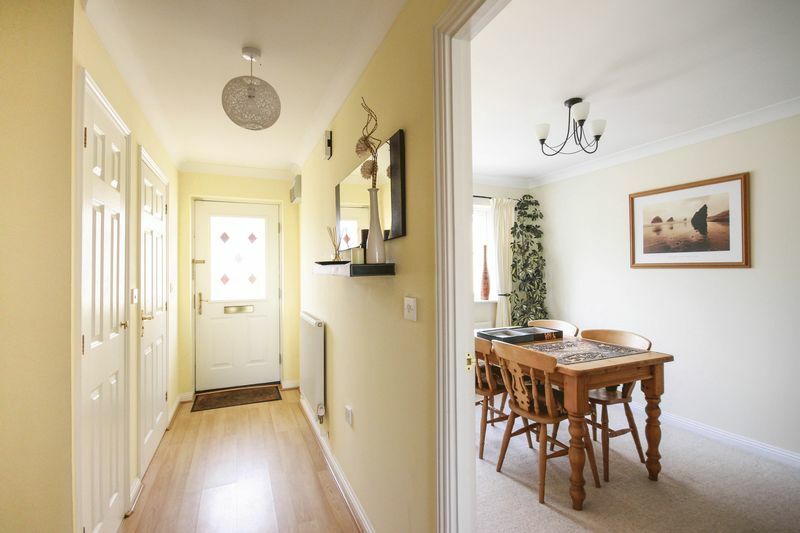 Chudleigh Knighton sits between Exeter and Newton Abbot, close to the edge of Dartmoor National Park and in the popular Teign Valley. Dartmoor National Park is best known for its striking granite tors, steep wooded river valleys and heather covered moorland, offering a wide selection of recreational opportunities such as walking, cycling, riding and fishing on the River Dart. Many of the region's finest beaches are within easy driving distance. The market towns of Totnes and Newton Abbot have a mainline railway station with direct links to London Paddington, along with Exeter St David's, and to London Waterloo from Exeter Central station. There is also an international airport in Exeter. The A38 (Devon Expressway) which by-passes the town provides good access to Plymouth, Exeter and the M5 motorway network. The A380 connects Torbay. 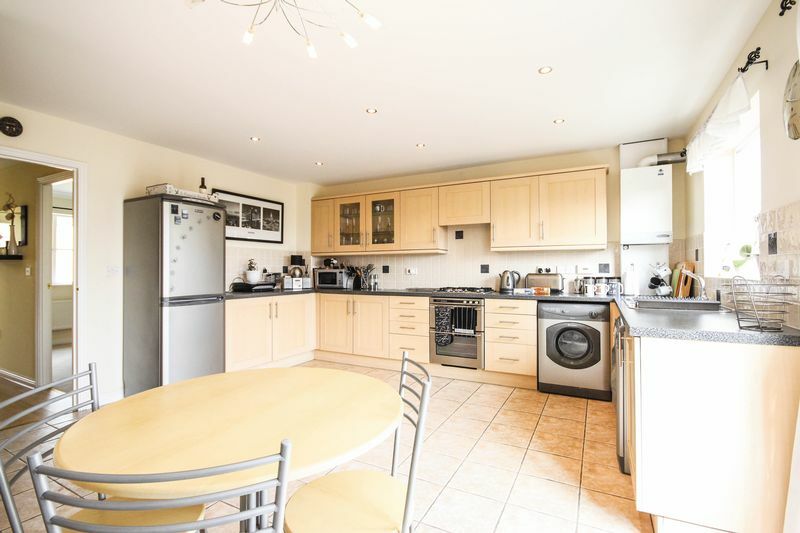 This spacious four bedroom house benefits from versatile accommodation. 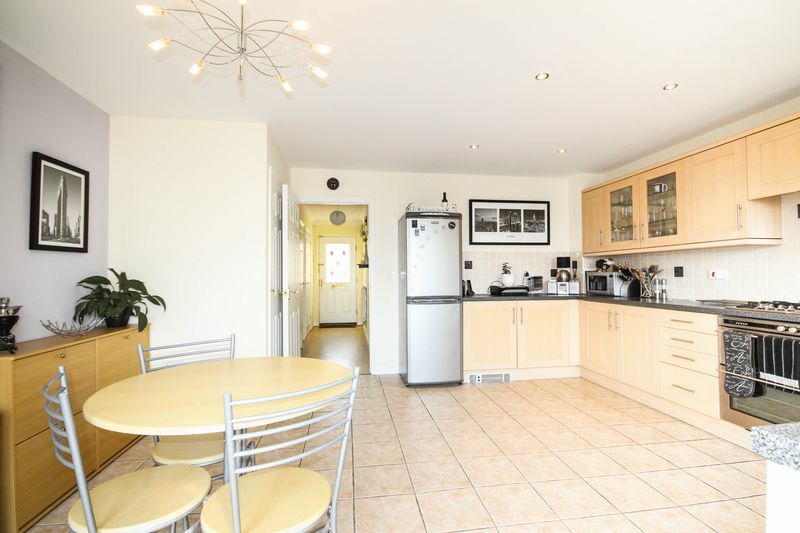 On the ground floor there is a large kitchen/diner with French doors opening onto the rear garden. 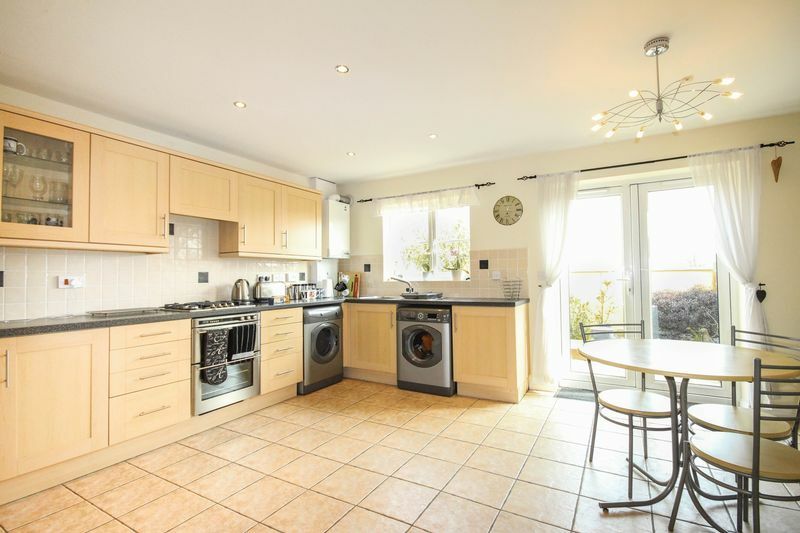 The kitchen has a good range of wall and base units with rolled edge work surfaces over. 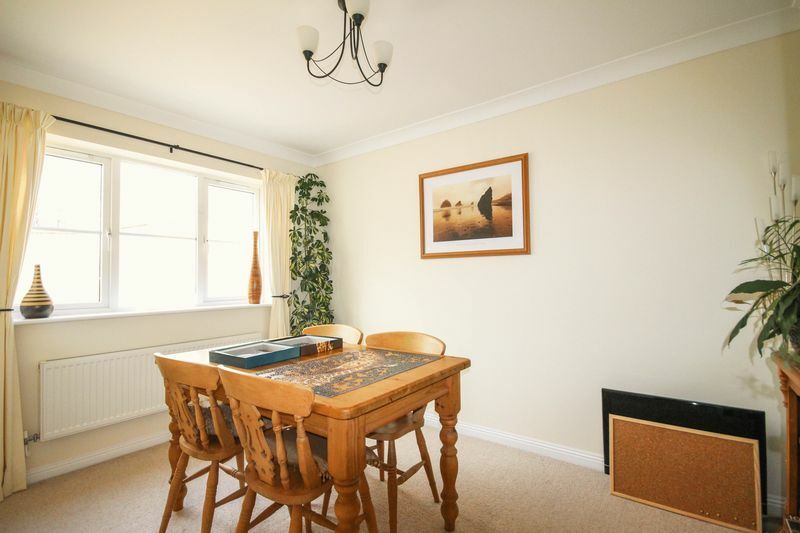 There is ample space for a dining room table - perfect for entertaining! 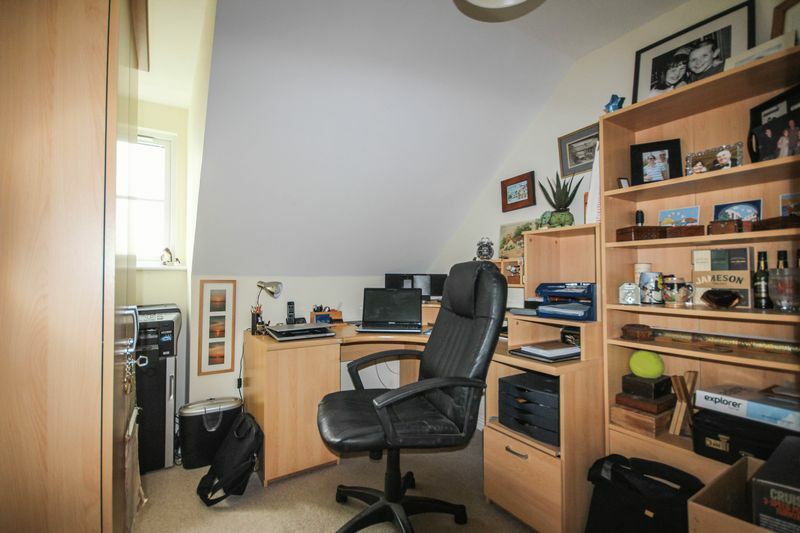 There is a further reception room to the front of the property which could be used as a dining room, study, fifth bedroom or sitting room. 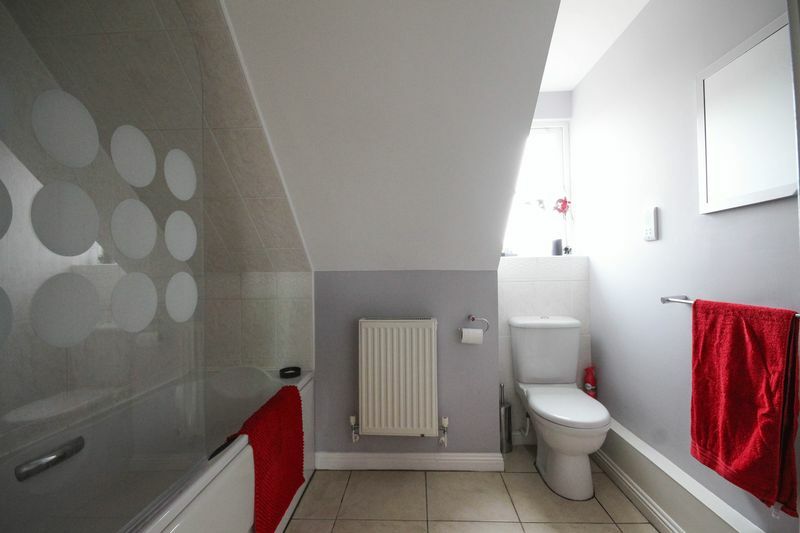 A downstairs WC and two large storage cupboards complete the ground floor accommodation. 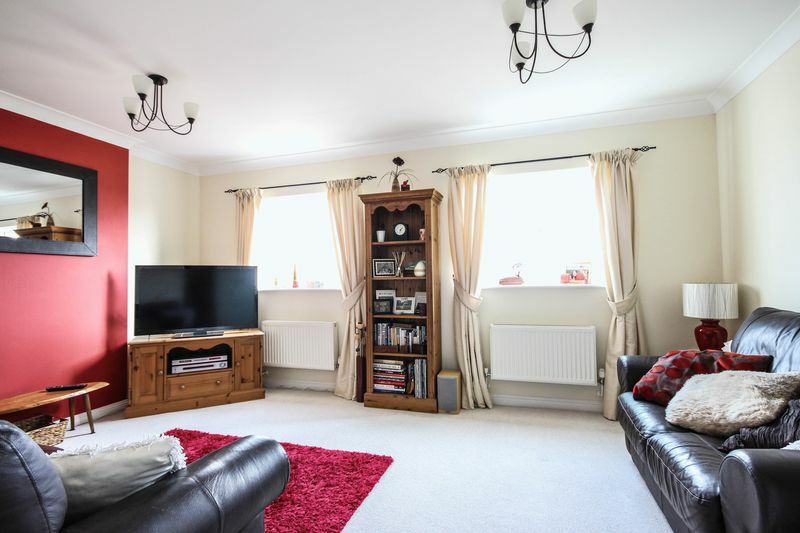 The living Room is on the first floor with two windows allowing in a wealth of natural light along with providing distant rural views of the surrounding fields. 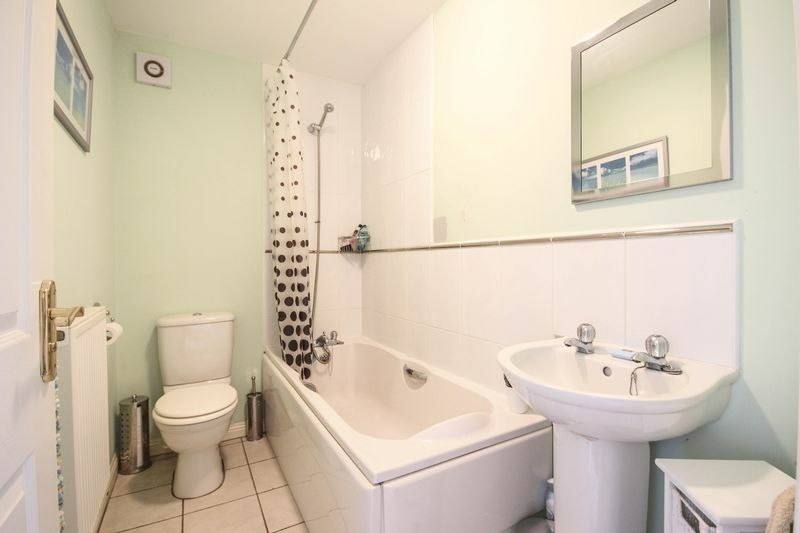 The family bathroom consists of a three piece white suite comprising bath with shower over, WC and wash hand basin. 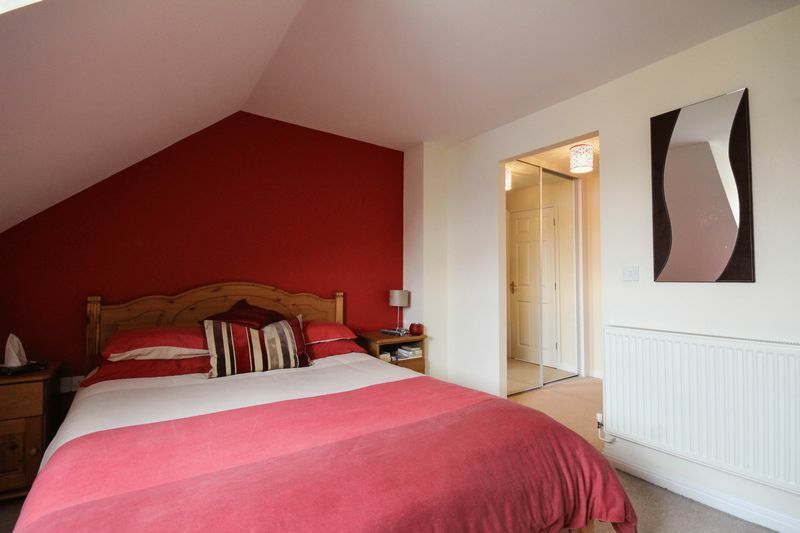 There are four bedrooms, the master bedroom is accompanied by a walk through dressing area which includes fitted wardrobes to an en-suite bathroom. 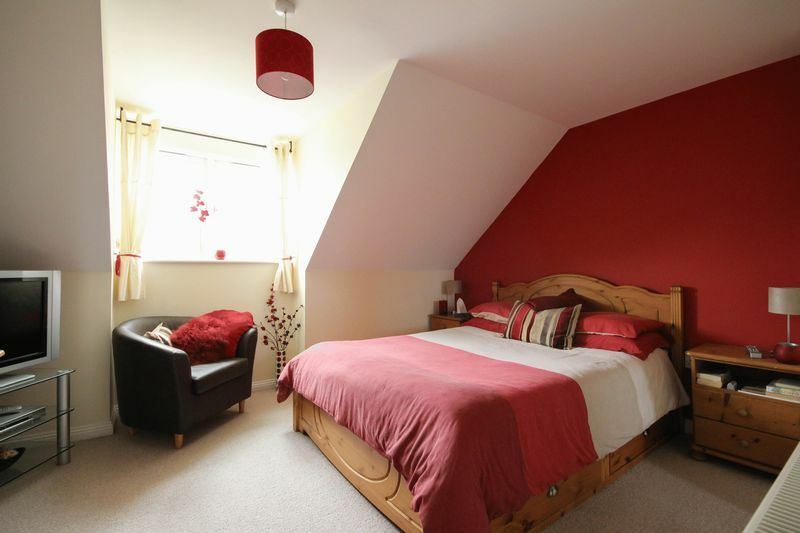 Bedroom two is again a good size double room with views to the front aspect. 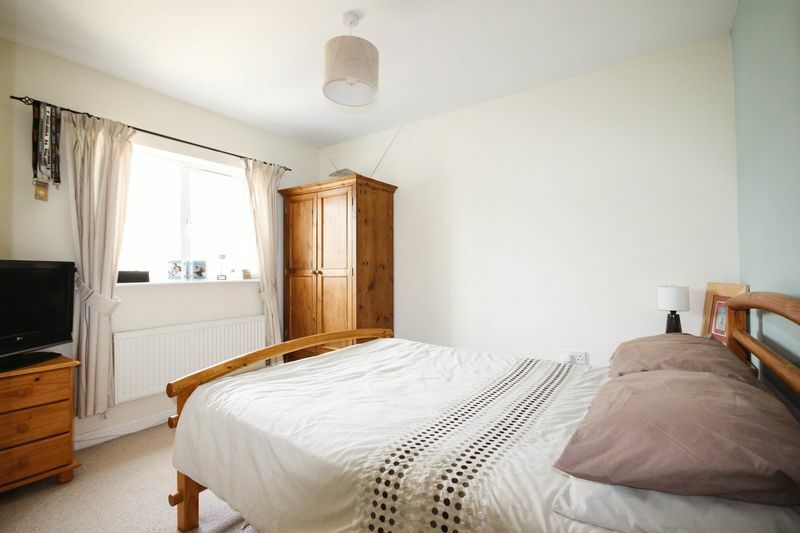 Bedrooms three and four are single rooms, of which one is currently used as a study.